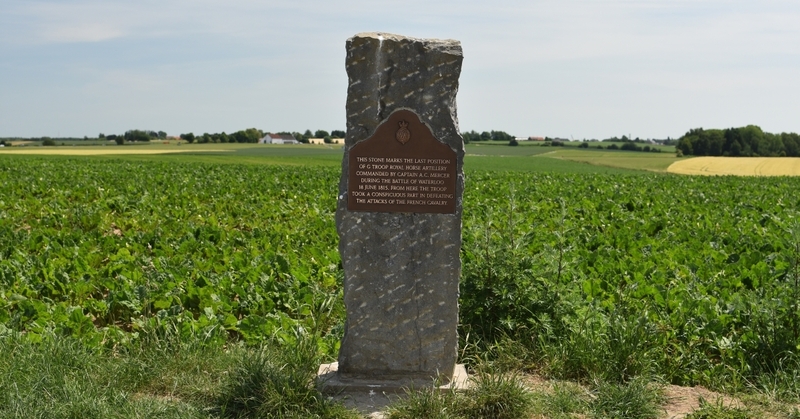 An air of disbelief erupts amongst British Waterloo visitors on the realisation that there has not, for 200 years, been a battlefield monument to their countrymen who fought in the campaign or on that fateful day of 18th June 1815. 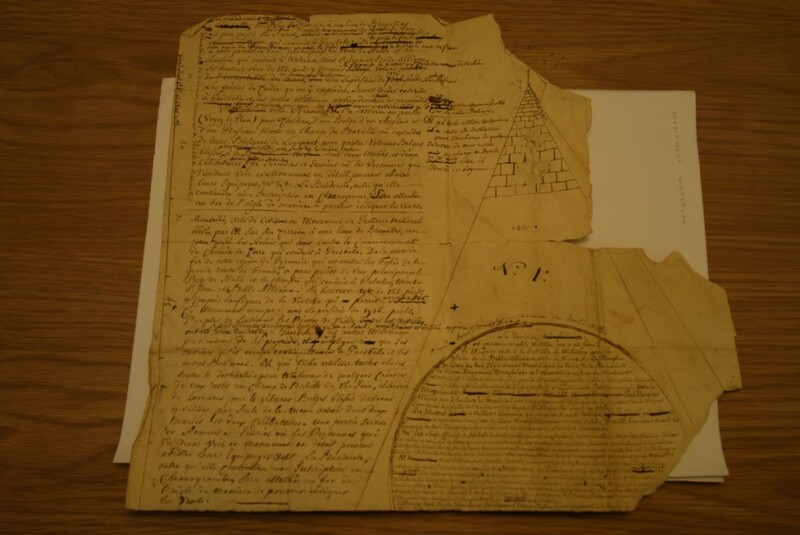 So what is this document below? 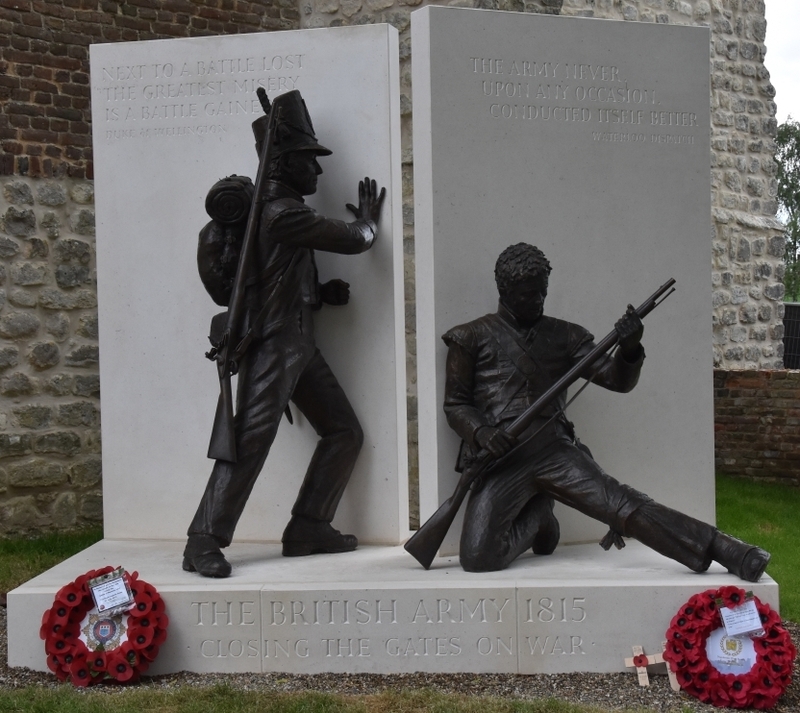 Amidst monuments to soldiers of other nations, Belgians, French, Hanoverians and Prussians, to senior officers (Picton, Gordon), to regiments (27th Inniskilling, 1st & 2nd Light and 5th KGL at La Haye Sainte, the 2nd, 3rd & the Light companies of the 1st Guards at Hougoumont), to services (Surgeons at Mont St Jean, Royal Wagon Train at Hougoumont), why is there nothing to commemorate the entire British army? The Scottish border region has a 150 foot tower near Ancrum. Closer to where the battle was fought they waited until 1890 at Brussels Evere cemetery and until 2000 at Quatre Bras for the British & Hanoverian monument. 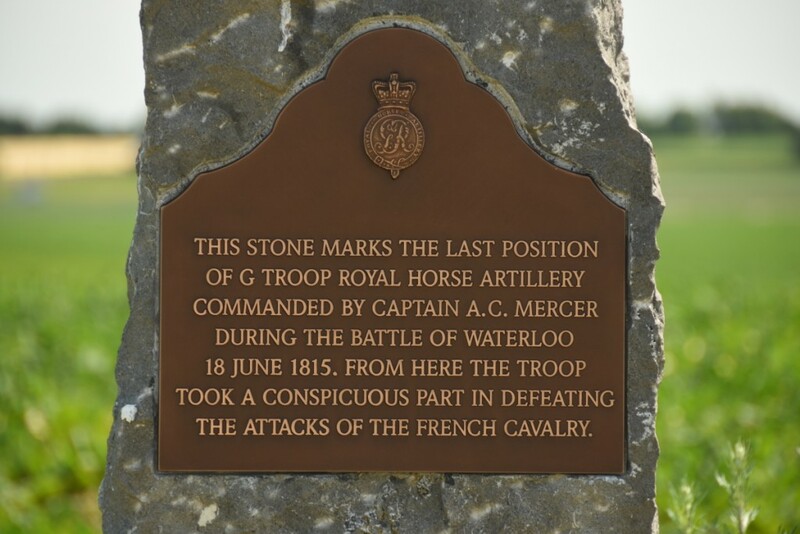 In 1858 a monument was erected in the Chapelle Royale Waterloo village, joining the many individual memorials within St Joseph’s Church, which happily also includes one to the Artillery, but that is still 3 miles away from the battlefield. At Hougoumont this year the new Project Hougoumont Vivien Mallock memorial will be unveiled, and most impressive it should be. But were there no plans long ago? The Charles Vanderstraeten Lion Mound has stood since 1826, commemorating the wounded Prince of Orange, although this was rather overtaken by events in 1831 with the Belgian Revolution. Amidst demands to take it down the lion was defended by hundreds of local villagers desperate to maintain their battle-tour living. A year later it survived a French invasion. On the 50th anniversary of Waterloo it was not officially celebrated through fear of upsetting the French, although thousands still gathered on the day! So did anyone care about the British who fought? Well yes, they did. 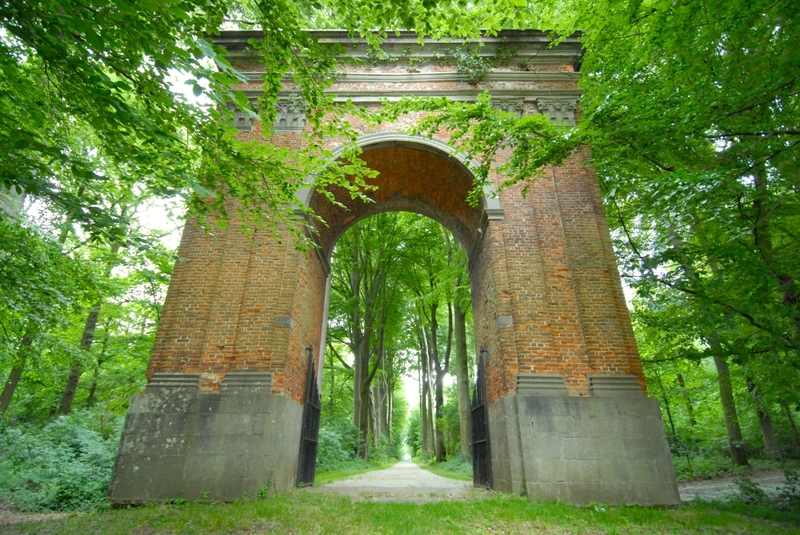 You may already have read the piece on Mercer’s visits to the beautiful Kasteel Gaasbeek (if not, click here). 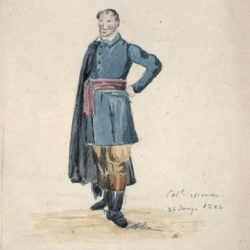 The quixotic Marquis of Gaasbeek, the one who had an obsessive fondness for all thinks Turkish, did care. 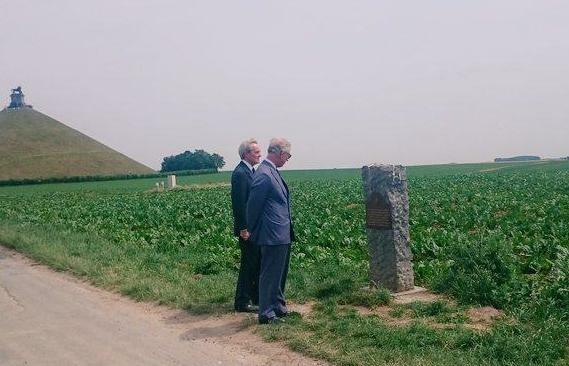 This is the man who little more than a decade earlier had built the original Arc on his lands to honour Napoleon, and yet here he was, seeing the shift to a new ruling order, wanting to honour those who fought at Waterloo. This precious yet previously unknown plan is the Marquis’ design for a joint memorial to the Belgians, English and Prussians (no mention of the Dutch, Scotch, Irish, Welsh, Hanoverians, Nassauers, Brunswickers etc. 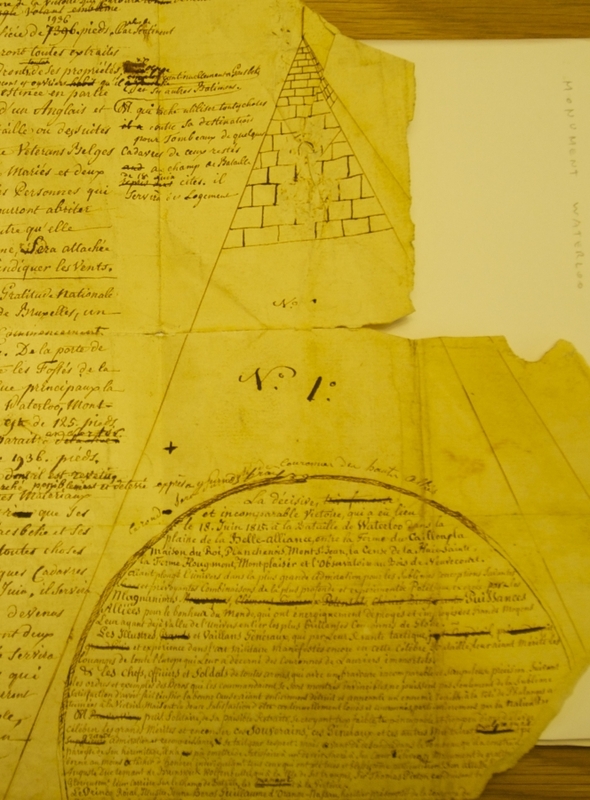 but perhaps they were all deemed to be part of the ‘English’ army) It is the original working document, having a preamble, a more detailed explanation of the plan, many corrections, and this fabulous design for a huge pyramid. 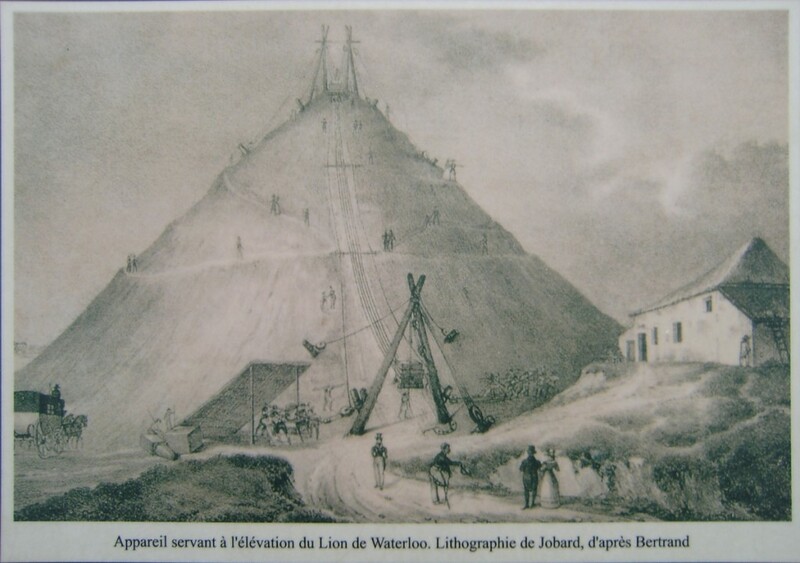 We will be publishing a full translation once we are fully confident of our work, but the Marquis’ plan was for a huge pyramid 125 foot high (to put that in perspective the enormous lion mound is 141 ft high). Almost 2000 sq ft at the base, constructed from local stone from his estate which originally stretched across 17 villages towards modern day Anderlecht on the Western edge of Brussels. Within the pyramid were to be housed tombs for one Belgian, one Englishman (I’m sure the Welsh, Scots and Irish would have been permissible … in those days even Napoleon referred to the British as ‘the English’) and a Prussian who had either died on the field of battle or later from their injuries. There would also have been housing for four Belgian veterans disabled in action, two married and two un-married, to act as guides and stable-hands to visitors to the Pyramid, with room for stables and carriages. A banner dated 1815 atop the Pyramid would be held in the mouth of an eagle acting as a weather vane. The whole construction would stand proudly beside the main route to Paris, with the inscriptions surmounted with the crowns of the supreme allies. So we have a great Pyramid which sadly was never built. Was he motivated by the visiting British officers including Mercer, or by the need to show common cause with the new rulers? 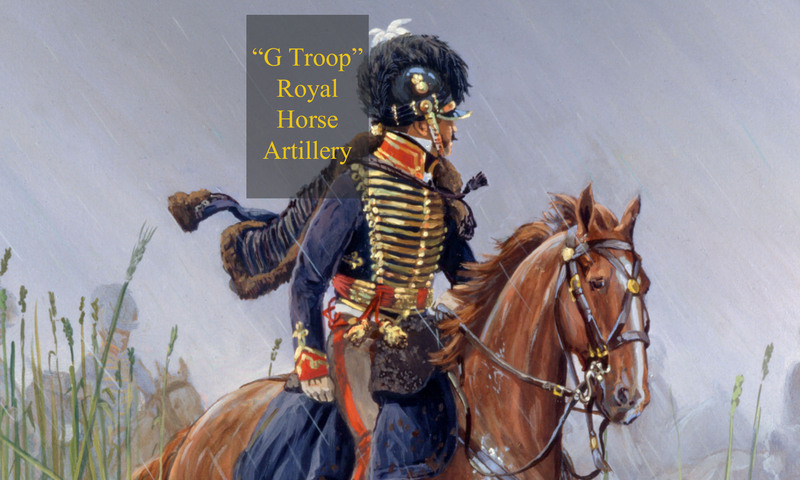 We know that he wasn’t fond of the Dutch ruling class who banned the use of 6 horsed carriages other than for royalty; in protest the marquis had his own carriage drawn by 5 horses and a mule! The Marquis died in 1821 perhaps before it could be built, or after the project had been shelved. We may never know, but it is good to think that when the Marquis was designing his monument to all the allies he may have been wondering just what had happened to his most interested and observant visitor, Cavalié Mercer.